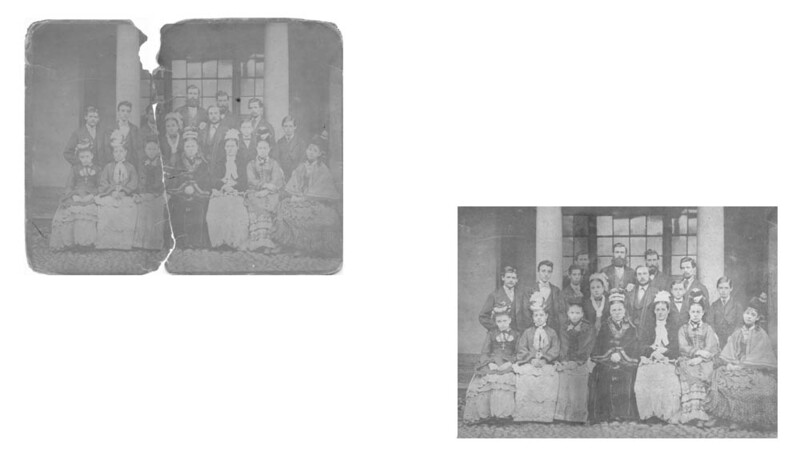 Both cracks and missing information on the photographs have been repaired and restored. 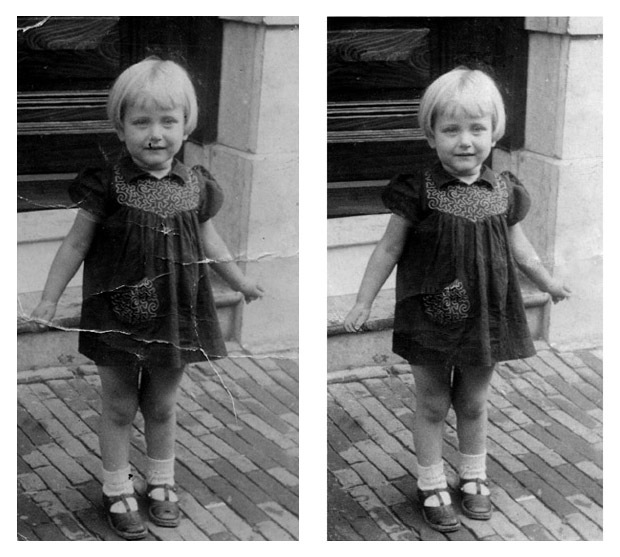 The work on Marry's picture was done by me and the larger restoration on Polly's picture was undertaken by Mark Davies. Click on the two links below to view the results.